Last night we spend hours scooping and carving pumpkins and roasting seeds! I love this time of year! I have never been a fan of pumpkin seeds before but I made this recipe last night and I am in love! 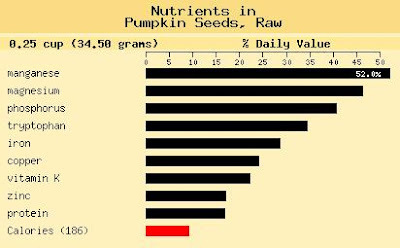 I took 2 cups of cleaned and dried pumpkin seeds and tossed it two 2 teaspoons of Worchestshire Sauce and 2 tablespoons of melted butter. I then spread them out on a baking sheet and sprinkled them with sea salt! I roasted them for 2 hours in a 250 degree oven. Make sure you give them a good stir every 30 minutes while roasting. Enjoy all the nutrition that these seeds pack in their tiny shells!